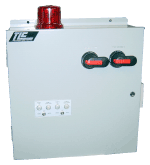 TLC Controls was started in 1979 to build pump control panels. The idea began when founder Todd L Conforti received a degree in Electrical Engineering from Marquette University in Milwaukee, Wisconsin and having worked for both Allen-Bradley Company in Milwaukee and Klockner-Moeller Company in Arlington Heights, Illinois, designing and building control systems, Mr. Conforti noticed a need in the water and waste water markets for high quality, low cost control panels. The CADET LC line of control panels is a combination of features previously found in the CADET and CHALLENGER series. By combining the two series we have developed a first class, low cost line of control panels ideally suited to standard duty applications. The CHAMPION line of control panels are our best cataloged heavy duty type of controls. These panels are built with the highest quality components. They utilize oil tight pilot lights and selector switches, lockable type disconnect switches and are built to the rigorous UL 508 standards. Available in Type 1 to Type 9 (explosion-proof) enclosures, these control panels are ideally suited to industrial and large municipal applications. 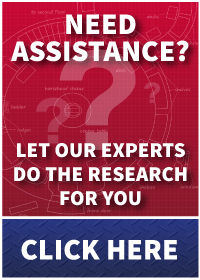 These panels will provide many years of reliable trouble free service.